Since the publication of the successful first edition of Earthquake Protection there have been 110 lethal earthquakes, killing 130 000 people; there have also been significant developments in the field of earthquake risk management, particularly in the modelling and analysis of risk for insurance and financial services. Furthermore, major earthquake disasters, such as the 1994 Northridge earthquake in California, the 1995 Kobe earthquake in Japan and the 1999 Kocaeli earthquake in Turkey have occurred. The experience and knowledge gained through these events have improved our understanding of how to manage, mitigate and work towards the prevention of similar catastrophes. The 1990s were in fact the costliest decade on record in terms of disaster management due to such seismic events, placing unprecedented pressure on the insurance industry in particular, and changing its view of earthquake protection. 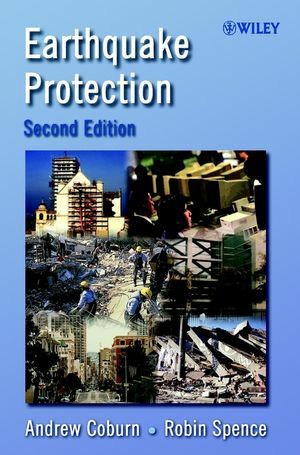 Significantly revised and updated, this second edition continues to provide a comprehensive overview of how to reduce the impact of earthquakes on people and property, and implement best practice in managing the consequences of such disasters. It also includes significant coverage of the techniques of modelling earthquake catastrophe. Each chapter deals with a separate aspect of protection, and covers a wide range of economic and social conditions, drawing on the authors' considerable personal experience and with reference to real life examples. This valuable book provides essential reading for earthquake and structural engineers and geoscientists, as well as insurers and loss prevention specialists, risk managers and assessors involved in managing earthquake risk, urban and regional planners, and emergency management agencies. Andrew Coburn is an executive of Risk Management Solutions, Inc., the world's leading insurance risk management and catastrophe modeling company, working with insurance clients to assist with the management of earthquake risk. Dr. Coburn has many years of international experience of earthquake risk analysis and catastrophe modeling. He originally completed his PhD on earthquake risk at Cambridge University in the 1980s under the supervision of Dr. Robin Spence and has studied many catastrophes and developed techniques for their analysis, modeling and quantification. For over 20 years, he has participated in the study of catastrophe events including 15 field damage surveys, ranging from the Italian earthquake in 1980 to the Gujarat earthquake in India in 2001. His research work has included research into human casualties in catastrophes, including Visiting Fellowships at Hokkaido University in Japan, Virginia Polytechnic Institute in Washington, DC, USA and University of Naples, Italy. Robin Spence is a structural engineer and Reader in Architectural Engineering in the Department of Architecture at Cambridge University. He has been active in the field of earthquake risk mitigation for over 20 years. During that time he has taken part in many field missions, and was one of the founders of EEFIT, the earthquake engineering team in 1983. He has also directed numerous research projects on earthquake vulnerability assessment, loss estimation and disaster mitigation, and is the author of many papers, reports and manuals on these subjects. He has frequently been a consultant to international agencies, national governments and insurance companies on the assessment and mitigation of earthquake and volcanic hazards. After obtaining his PhD on the analysis of reinforced concrete structures, Dr. Spence has been with the Department of Architecture at Cambridge University since 1975, and has been a Director and Joint Director of the Martin Centre since 1985. He has been a Visiting Professor at MIT and UCLA, at the University of Naples and at Macquarie University in Sydney. He is currently Director of the Cambridge University Centre for Risk in the Built Environment. He is also a Director of Cambridge Architectural Research Ltd, and a Fellow of Magdalene College, Cambridge. Site Selection and Seismic Hazard Assessment. Improving Earthquake Resistance of Buildings.